The 41 individuals whose caudal (root mean squared) cerebral activities were monitored and compared simultaneously with the recording of Schumann values in Italy displayed conspicuous phase coherence at 7.8 Hz, 14 Hz and 20 Hz. Of the 41 cases analyzed, 33 (80%) displayed at least one occurrence of a harmonic synchronous event within a 60-second interval for a total of 61 harmonic synchrony events. (…) In other words the transient coherence between the Schumann and brain values in real time occurred once (on average) every 30 s for about one-third of a second. This is equivalent to about 3 to 5 microstates about twice per minute. To our knowledge this is the first detailed, quantitative demonstration that there is real time coherence between the specific frequency bands reliably measured within human electroencephalographic activity and comparable fluctuations in electromagnetic characteristics within the earth-ionospheric spherical wave guide. The current measurements as well as those reported   earlier emphasized the importance of the right Parahippocampal gyrus as one central focus of coherence between the human brain and the earth-ionospherewaveguide. This region has been implicated in other experiments  and by other authors  as a potential site through which subtle changes in geomagnetic activity could be mediated. If classical principles of brain organization are applicable, the predominant visual “field” to which experiences would be attributed would be the upper left peripheral visual field. Neurons within the Parahippocampal gyrus show unique properties that could facilitate this coherence. (…) These cells exhibit intrinsic oscillations of a few mV within the 8 Hz range . The hippocampal formation, the area involved with the representation of experiences (memory), receives its primary input from second layer neurons within the entorhinal cortices of the Parahippocampal gyrus. If there is about 1 bit of information per second associated with coherence between the ionospheric waveguide and the brain per 300 ms and about 107 neurons  within the human hippocampus, then there would be the potential for exchange of about one million bytes or 1 MByte once every approximately 30 s.
The equivalent power density (…) this radiant power density would be equivalent to about 10−20 J per second per cross-sectional area of a neuronal soma. There should be solar-geomagnetic interactions that might be discerned within QEEG data as well. Ondraskova et al. reported a decrease in Schumann Resonance frequencies during the 2008-2009 solar cycle minimum. (…) Heating the ionosphere with high frequency electromagnetic waves from specialized equipment at the High Frequency Active Auroral Research Program (HAARP) in Alaska  initiated larger amplitude (by a factor of 2 or 3) enhancements for every 0.2 Hz between 7.4 Hz to 8.0 Hz. This was accomplished maximally when the HAARP-transmitted waves were 3.04 and 4.57 MHz. Is our brain picking up rhythms? 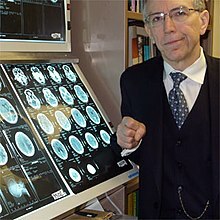 “What we have found is that if you place two different people at a distance and put a circular magnetic field around both, and you make sure they are connected to the same computer so they get the same stimulation, then if you flash a light in one person’s eye the person in the other room receiving just the magnetic field will show changes in their brain as if they saw the flash of light. We think that’s tremendous because it may be the first macro demonstration of a quantum connection, or so-called quantum entanglement." From the Book “Energy Medicine, The Scientific Basis by James L. Oschman, 2000. Brain Pacemaker information - "The source of the EEG"
"The frequency and strength of the signals (i.e. Schumann resonance) depend on the distribution of global thunderstorm activity,"
up, into the range of alpha brain wave activity, reaction times were faster. After the traffic exhibition, Reiter took his test cubicle to the University of Munich and lined the top and bottom with wire mesh connected to an electrical generator. He introduced artificial low level, low frequency signals similar to those of the earth's field. Under these controlled conditions, the effects of the fields on reaction time were comparable to those obtained during the exhibition. Moreover, subjects in the laboratory experiments repeatedly complained about headaches, tightness in the chest, and sweating of the palms after several minutes of exposure to 3 cycle/second fields. When the headaches faded away, there was often a feeling of fatigue. These symptoms resemble the so-called 'weather sensitivity' complaints that some people have before the arrival of a thunderstorm."